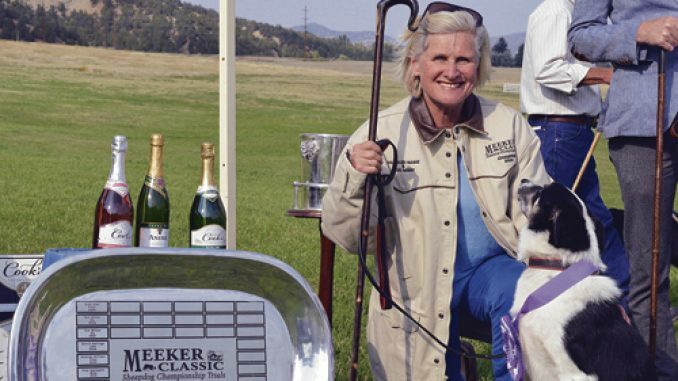 Amanda Milliken of Kingston, Ontario, Canada, with her dog, Howell, won her third Meeker Classic championship. RBC I Around 30 years ago, a group of locals sat around over coffee and talked about ways to give an economic boost to the community. 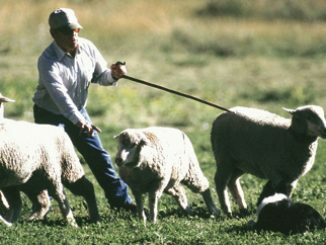 They came up with the idea of hosting a sheepdog trial. There were plenty of smiles during this year’s five-day event. 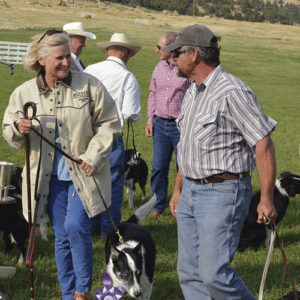 One of the biggest smiles belonged to Amanda Milliken, who with her dog Howell, won her third Meeker Classic Sheepdog Championship Trials. With a $20,000 purse for this year’s event, Milliken, who is from Kingston, Ontario, Canada, claimed the $5,000 top prize. She complimented organizers on running a top-flight event. For Mary “Maym” Cunningham, who is director of the trials, she couldn’t have been happier with how this year’s event went, though, she added, there’s always room for improvement. 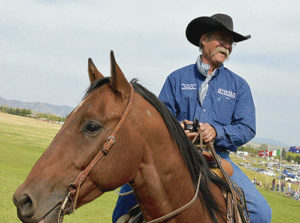 Dorrance Eikamp, a handler from Gillette, Wyo., who was the Meeker Classic champion in 1994, agreed. “I go to trials all over the country, and this is my favorite,” Eikamp said. It didn’t hurt that plenty of sunshine and warm afternoon temperatures graced each day of this year’s event. “We had wonderful weather,” Cunningham said. “We don’t have actual numbers yet, but based on gate receipts it was a 30 percent increase in attendance, and last year we had 5,500 people come through the gate in five days,” Cunningham said. More than 500 schoolchildren also participated in the event’s educational outreach program, which ran Wednesday through Friday, and was free for students. Perhaps the biggest selling point for the event, Cunningham said, is the city of Meeker itself. The community benefits from hosting the trials, Cunningham said. 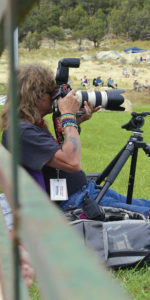 This was Cunningham’s fifth year as director of the Meeker Classic. She took over for her sister Ellen Nieslanik in 2010. Something different this year was use of social media to promote the trials. Besides board members, it takes about 350 volunteers to put on an event like the Meeker Classic. Many of the volunteers are local, but they also come from other locations in Colorado as well as other states. Even though this year’s event just ended, planning for next year’s 30th is under way, Cunningham said. Two of the top finishers, Amanda Milliken (first place) and Ron Enzeroth (third), chatted after the awards ceremony Sunday. 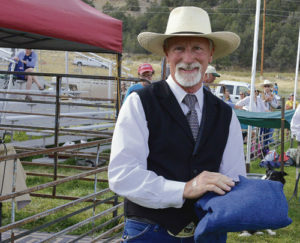 Derek Fisher of Napa, Idaho, was reserve champion. 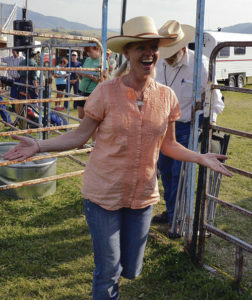 Mary “Maym” Cunningham, director of the Meeker Classic, praised board members and volunteers for their efforts in putting on another successful trial. 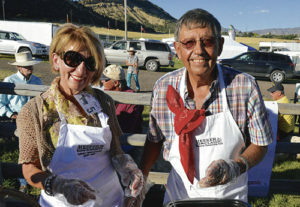 Christine and Gus Halandras participated in the lamb cookoff on Thursday night during the sheepdog trials. Bruce Clatterbaugh is president of the Meeker Classic Board of Directors. 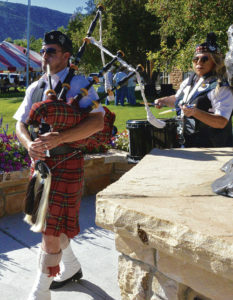 Members of the Rocky Mountain Scots entertained the crowd with bagpipes and drums throughout the Meeker Classic. Johnny Robinson of Coldingham, Berwickshire, Scotland, served as judge at this year’s event. Ray Crabtree was the announcer at this year’s Meeker Classic. 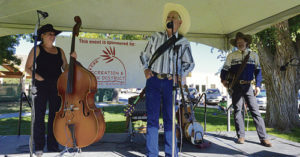 Cowboy poet and songwriter Gary McMahan (center) gave a free concert, sponsored by the ERBM Recreation and Park District Saturday on the lawn of the Rio Blanco County Courthouse. 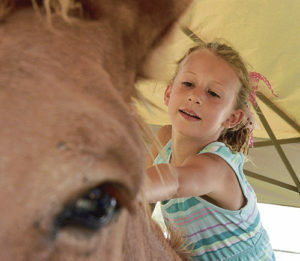 Thea Vandyke, 5, of Glenwood Springs, granddaughter of Jim and Debbie Cook of Meeker, pets a mule at the FFA petting farm. 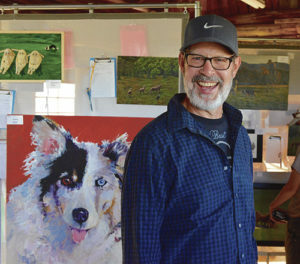 Former Meeker art teacher Andy Goettel attended the art reception at the Meeker Classic. He also gave pottery demonstrations throughout the sheepdog trials. 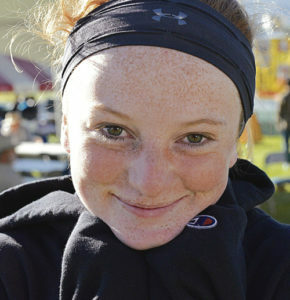 Abbey Morgan of Meeker attended the Meeker Classic last Friday. 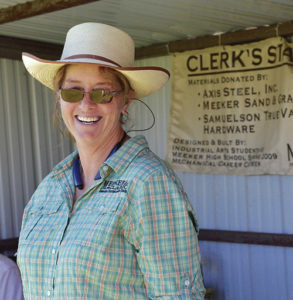 Claire and George Howey of Meeker helped out during the five-day Meeker Classic. 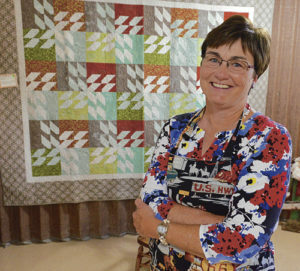 Stephanie Oldland stands in front of one of her quilts during the PEO quilt show at the Fairfield Center. 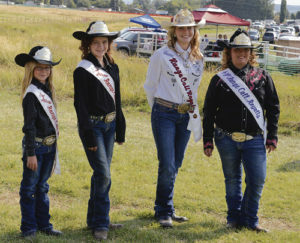 The show was held in conjunction with the Meeker Classic. 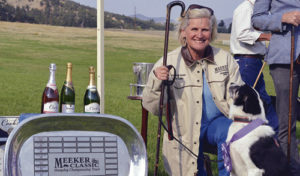 Range Call royalty posed for pictures during the Meeker Classic. 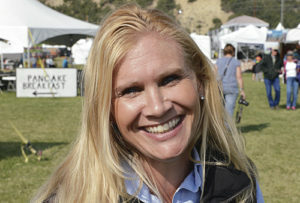 Handler Vickie Close from Coeur d’Alene, Idaho, finished 20th at this year’s Meeker Classic. 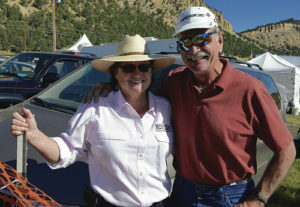 Molly Theos was one of the locals who attended this year’s Meeker Classic. 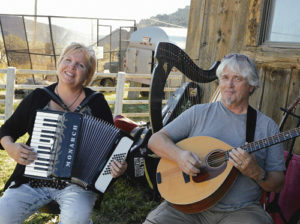 Kim McKee and Ken Wilson performed Celtic music during the art reception at the Wilber Barn site. 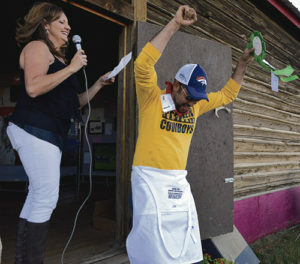 Arturo Rodriguez of Meeker celebrated after winning the People’s Choice Award in the lamb cookoff, presented by Meeker Classic board member Laurie Whiteman. 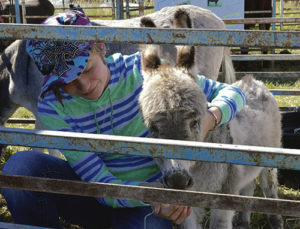 Macy Collins was one of the Meeker FFA students who put on a petting farm during the Meeker Classic. 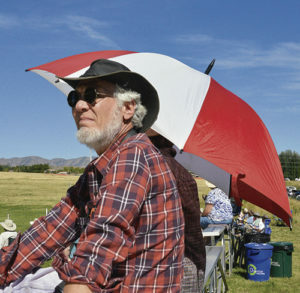 Attendance was up at this year’s Meeker Classic, thanks in part to favorable weather conditions all five days. 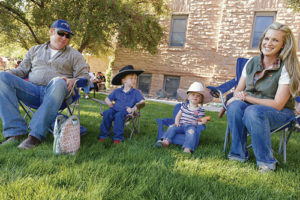 Dessa and Brett Watson and their children sat on the courthouse lawn and watched the free concert, part of Saturday night’s activities at the Meeker Classic. 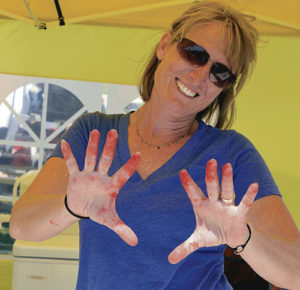 Margie Joy got her hands dirty making snow cones during the Meeker Classic. 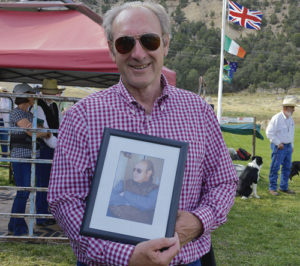 Longtime Meeker Classic photographer and retired Meeker postmaster Dale Hallebach focused on the action during the sheepdog trials. 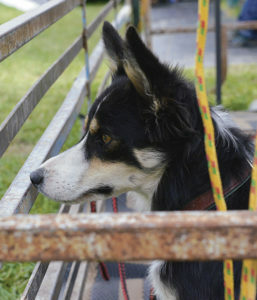 This dog was focused on the action on the field during Sunday’s finals of the Meeker Classic. There were 130 dogs entered in this year’s Meeker Classic. 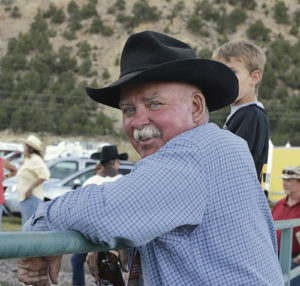 Ted Ford was one of the many local volunteers who helped out during the Meeker Classic. 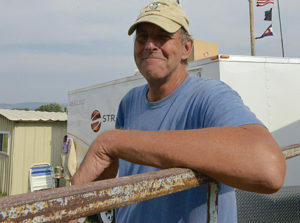 Mark Henderson of Deer Trail, Colo., was a member of the set-out crew. MEEKER I Folks around Meeker have seen Septembers come and go over the years and with it the Meeker Classic. 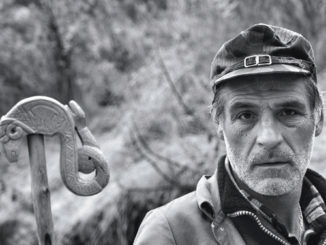 It’s become a permanent fixture in the community.